The Transport Minister, Shane Ross, said yesterday that he hopes to do something in "a more concrete way" to solve the impasse on the Dublin Galway greenway. Minister Ross was answering a question in the Dail from FF TD Robert Troy on the long delays for the project. Minister Ross agreed with Robert Troy that the ‘Greenway’ holds a huge tourism potential for the Midlands. He also said that in the meantime, he would "examine potential funding options to deliver the sections of the Galway to Dublin greenway in counties Kildare and Meath that have planning permission in place and may be progressed quickly". He also went on to highlight the huge potential for the Midlands to be a destination in its own right by commenting that "the completion of these sections would allow for the provision of a fully off-road greenway from Maynooth to Athlone. The provision of this 100 km section, combined with the 26 km Mullingar to Abbeyshrule greenway, would provide a multi-day cycling experience which would be attractive to visitors from home and overseas." The following is an audio clip of Minister Shane Ross's Dail statement on the matter. Audio file is the property of http://www.midlands103.com/ and simply relinked here. What can the Dublin Galway Greenway planners learn from the Sheep's Head Way in West Cork? RTE's Nationwide show on Friday 27th May 2016 examined how the rural community on the Sheep's Head peninsula in West Cork are benefiting from walking and cycling routes. The RTE programme highlighted the benefits and some of the concerns of the communities but it also highlighted how the Sheep's Head way could serve as a model for encouraging community support for other national greenways. The show mentioned that there are many positive impacts that accrue to communities that embrace tourism. But the presenter, Anne Cassin, also spoke about the opposition from landowners on other prominent greenway projects such as the the Dublin to Galway greenway route and the proposed greenway in Kerry. The story of the Sheep's Head way goes back 20 years when the community and farmers decided to open their land under permissive access for a cycling and walking route. 260 farmers came together and gave their permission for their land to be used for a walking route. RTE's show pointed out that the trust was there from the start and it was the farmers themselves that decided to open their lands for the route. However there were initial concerns in a number of areas. The concerns about insurance were addressed by the government. In 2008 the government set up a insurance scheme as part of the national walk scheme. There were also concerns around 'rights of way'which were surmounted by a system of 'permission access' where the route is closed for 1 day each year (on the 31st Jan every year) so no right of way can be established. There were also initially concerns about obstructio of productive farming by blocking of gateways and walkers dogs but these were resolved by more investment in parking areas and proper signage. One of the main reasons for the success of the Sheep's Head way is that the farmers have a say through the rural recreation officer and a system of committees. As such, the farmers do not have to deal with faceless bureaucrats and can have any issues or concerns addressed more quickly. Now the whole Sheep's head community can see the benefits with many new tourism related business opportunities in the area and additional employment. Many farmers have branched into agri-tourism and self-catering and some have reported that their income from tourism is starting to exceed their income from their traditional farming. The report went on to say that even if a farmer does not directly benefit from the walks that they can indirectly benefit from greater choice in amenities in the area such as new restaurants and coffee shops. Since this scheme is such a success for all involved, now the good will of farmers adds to the experience of the walkers and cyclists. According the Patrica Bevin, the rural recreation officer for the Sheep's Head way, these schemes have to come from the "bottom up and it is crucial that it starts from the community and the farmers themselves. The community needs to see the opportunity for something special themselves and only then can the walkways and cycle-ways can come from this." 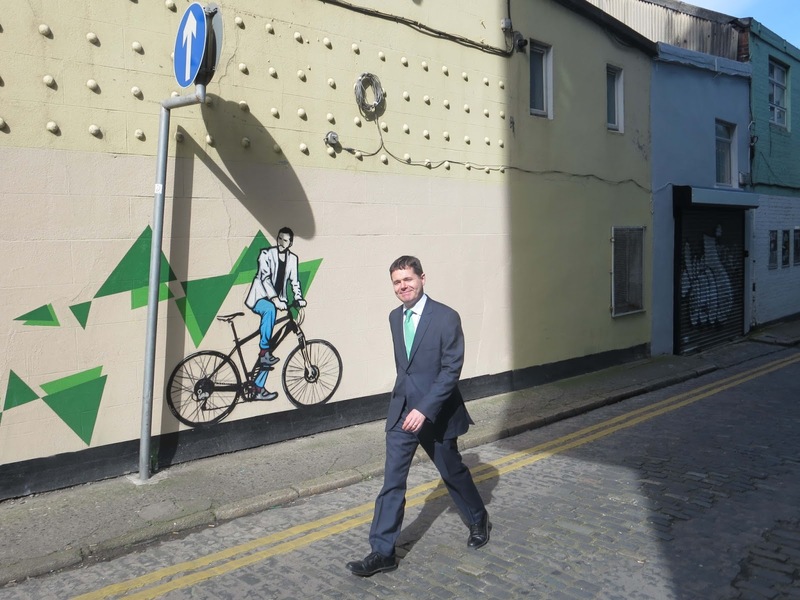 Last week the outgoing transport minister Paschal Donohoe outlined the 2016 funding for the Dublin Galway Greenway. 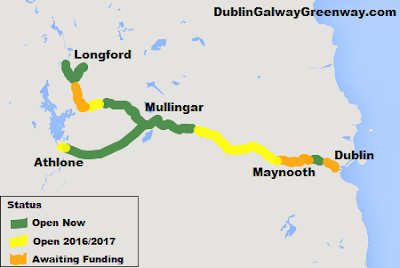 The funding was announced as part of a 23.2M funding package by the National Transport Authority for the Greater Dublin Area for 2016. In total, 1.65 million Euro will be made available for Dublin City Council, Fingal County Council and Kildare County Council. 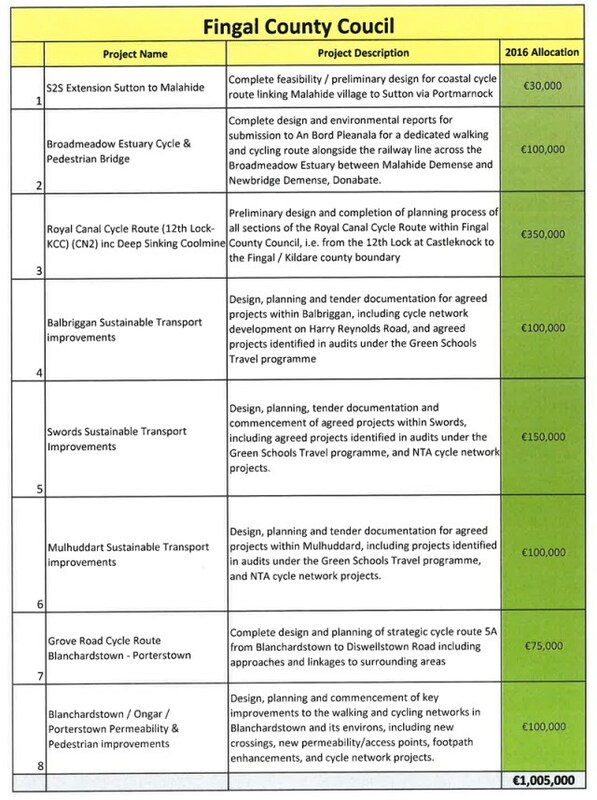 This allocation is specifically for the upgrade of the Royal Canal which will form the backbone of the Dublin Galway greenway on the eastern end of the national cycle route. Fingal County Council will receive 350,000 for the Royal Canal preliminary design and to the start the planning process for the route from 12th lock at Castleknock to the Fingal/Kildare county border. 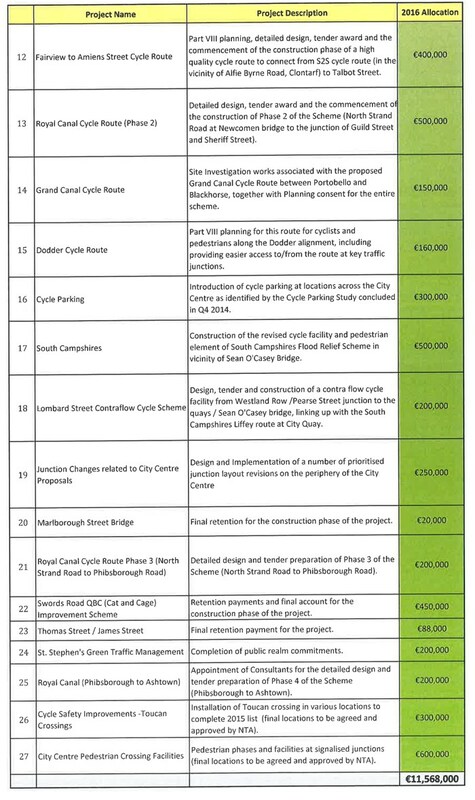 Sources in the council have told this blog that FingalCoCo hope to put out a tender after Easter for the design of plan for the cycleway, starting at the 12 Lock and finishing at the Kildare border. The exact finishing point for this survey is still uncertain and dependent on the National Transport Authority confirming how much funding Fingal has to undertake the design tender. 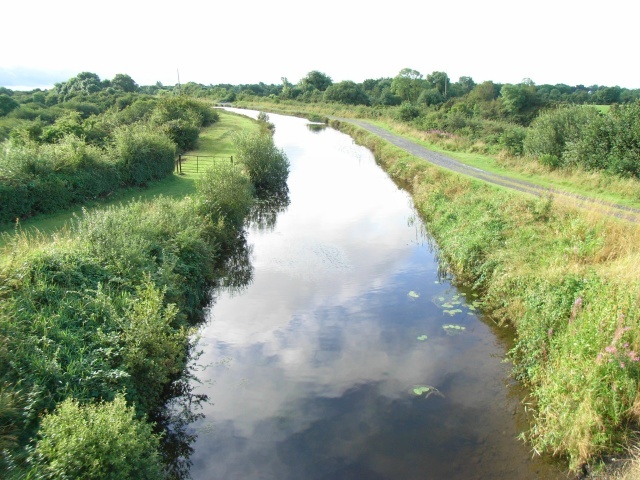 Kildare County Council will received 365,000 for commencement of construction of Royal Canal route between Maynooth and the Kildare/Fingal border. Kildare county council recently held a public consultation on the route. 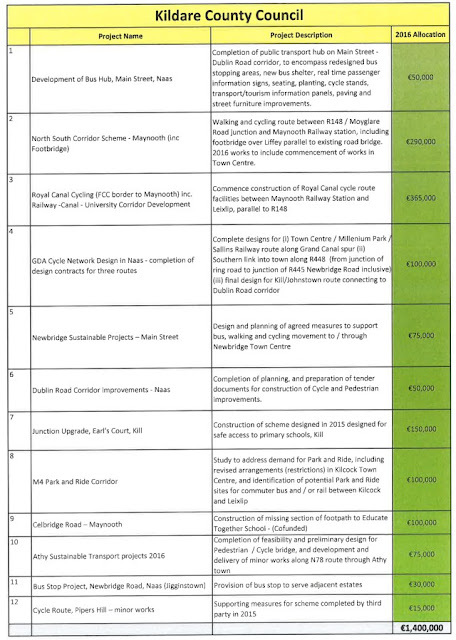 While it is great to see the funding being made available, it is disappointing that there is no funding allocated to Meath County Council for the section of the Royal Canal greenway that traverses through Co. Meath. 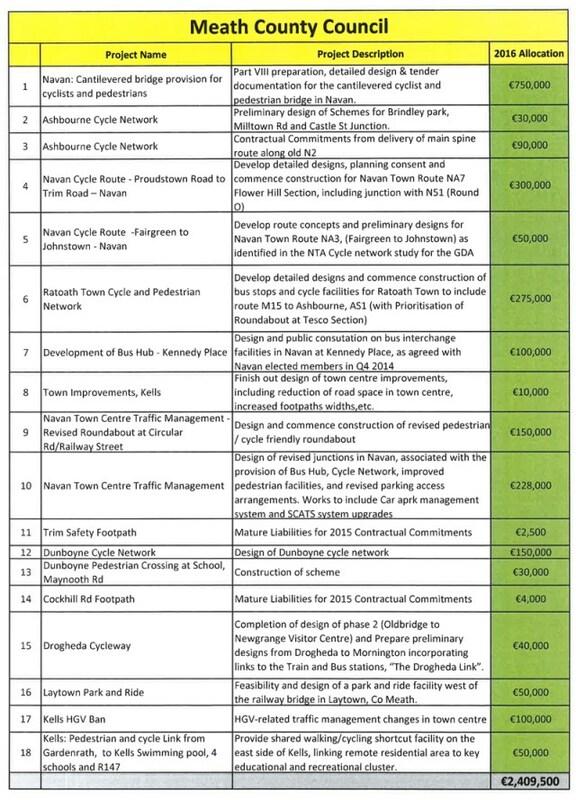 It is unclear if Meath County Council requested funding. Now that planning permission is granted, it is hoped that Longford Forest can be linked to the Royal Canal Greenway. 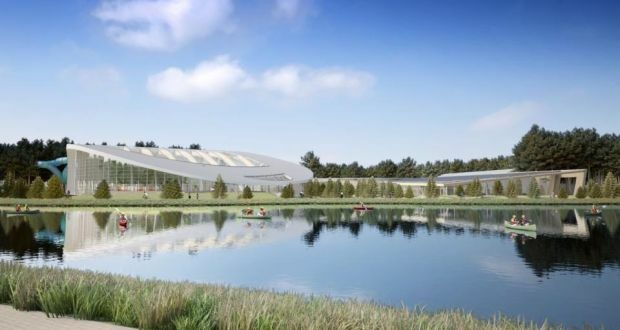 According to planning documents seen by this blog, a new off road cycle link between Newcastle Woods and the Royal Canal Greenway is being considered as part of the development of the Center Parcs holiday park. 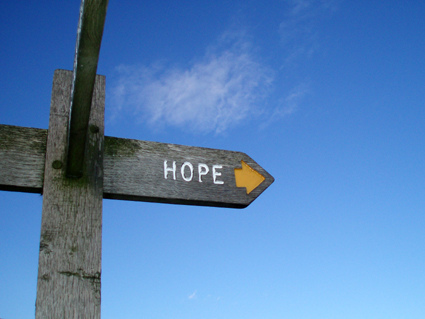 The decision to grant planning permission, subject to 22 conditions was announced this week. 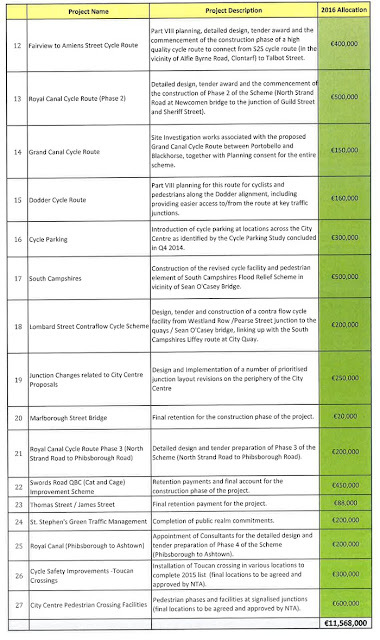 The planning grant included a clause that Center Parcs will have to provide almost €1 million (€951,420) to Longford County Council as a contribution to the upgrading of public infrastructure in the area of the development. 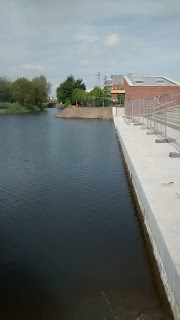 Furthermore, details of the planning conditions specifically calls for a off road cycle link to the Royal Canal. This decision to grant permission is welcomed by campaigners for the Royal Canal Greenway and is a vote of confidence in the work carried out by Longford Council so far. Longford Council have developed the Royal Canal Greenway as far as Abbeyshrule and are planning to bring the canal cycleway to the junction of the Royal Canal and the N55 by Summer 2016. 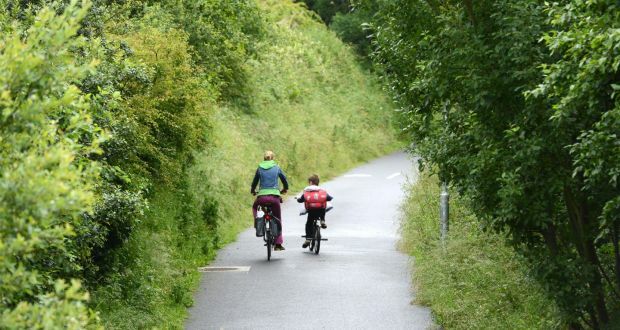 Campaigners are calling for funding to be provided to complete the cycleway all the way to Longford Town and thereby joining with the Longford to Clondra greenway and possible connections to the Mayo Greenway and the Greenways planned in Leitrim. We would like to congratulate the remaining candidates in the Longford Westmeath constituency and thank all other candidates who declared their support for the completion of the Longford Greenway during the election campaign. 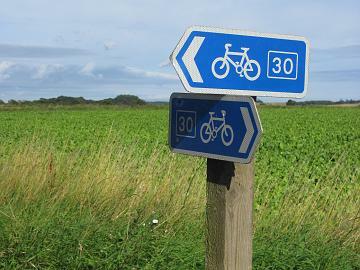 We are delighted the completion of the greenway has cross-party support. For example, Robert Troy (FF), told us that he "will work to honor this commitment. The greenway is a fantastic amenity, and connecting them is an excellent idea that will encourage tourism." DublinGalwayGreenway.com wishes all of the remaining candidates the very best of luck we look forward to their continued support going forward. The current minister of Transport and Tourism, Paschal Donohoe, yesterday promised 100m for the Wild Atlantic way, Blueway and Greenway projects. The minister was announcing plans for the tourism sector that is hoped will boost revenues from overseas tourists by €5 billion and will make a significant contribution to regional job creation. The minister says that "we will target increased investment; in areas such new facilities for walking, cycling (greenways) and water based (blueways) activities to take the Wild Atlantic Way to the next level". Fine Gael say that with the right vision, plan and investment a nationwide network of connected Greenways can become a global tourist attraction. The announcement from Fine Gael comes just after the Taoiseach confirmed funding for Royal Canal walk and cycleway through Longford. According to Shannonside News, the Tourism Minister Paschal Donohue described the shovel-ready Royal Canal cycle and greenway project in the county as “a no brainer” when it comes to funding. Longford Council have impressive plans to further develop the Royal Canal Greenway as a connection to the Dublin Galway Greenway. 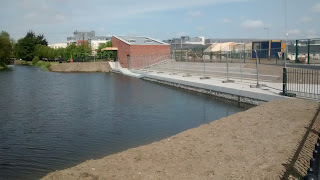 It is also hoped that the Royal Canal Greenway could be connected to the Mayo Greenway and eventually provide a coast to coast cycleway from Dublin to Mayo. 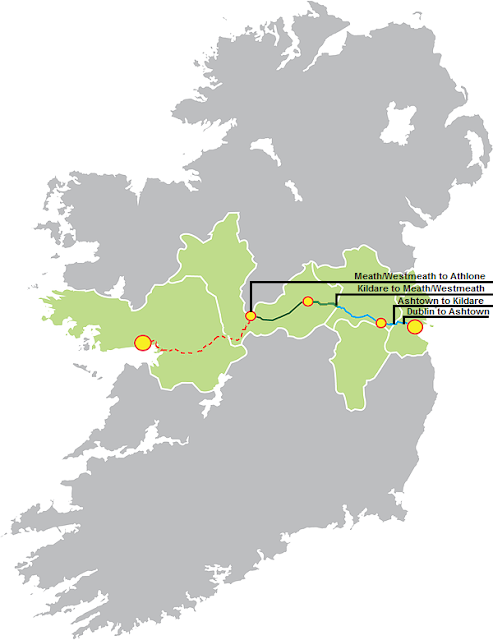 Also, in further related developments, Leitrim Council have started the feasibility planning for greenways that, if linked to the Dublin Galway Greenway via the Longford project, could provide a substantial and significant network of greenways in the midlands and north west. This website asked all the main candidates in the Longford/Westmeath for their position on the Longford greenway. Gabrielle McFadden (FG) and Robert Troy (FF) were the only candidates to go on record to state their support and Manchan Magan (Greens) has stated support for greenways in his vision statement. According to Gabrielle McFadden T.D. 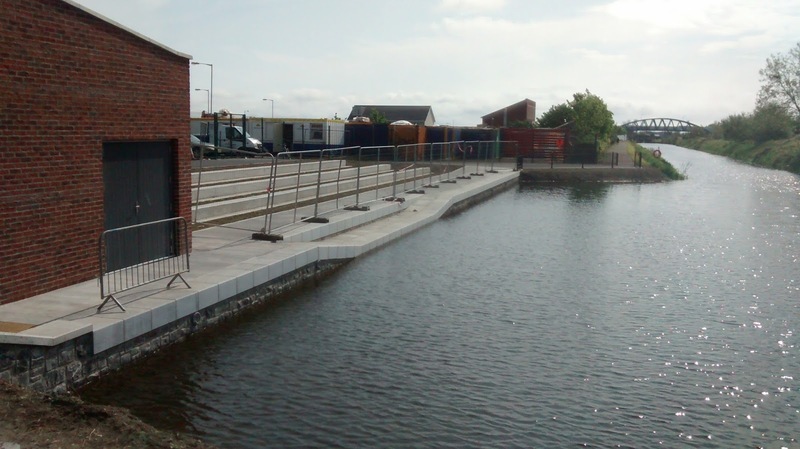 (FG), "Securing the funding for the completion of the Royal Canal Greenway in Longford will undoubtedly be a massive boost for the county and, if elected, I will be making strong representations at Cabinet level to get this vital allocation for the project." And Robert Troy (FF), told us that he "will work to honor this commitment. 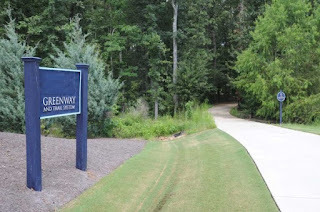 The greenway is a fantastic amenity, and connecting them is an excellent idea that will encourage tourism." In his vision statement, Manchan Magan (Greens) says that he supports the development of "cycle and walking tracks and creating small-scale personalised services offering outdoor activities". It will be interesting to see when Election 2016 is over if the commitment of the parties will be delivered upon. The Western Rail Trail Campaign, the campaign group seeking to protect the alignment of the non operational railway line from Collooney in County Sligo to Athenry in county Galway by placing a greenway on the route until such time as a railway is possible, has welcomed the support of almost every candidate in Sligo Leitrim South Donegal and West Cavan. 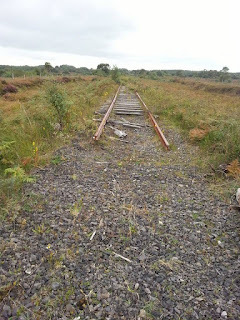 “We contacted all candidates at the start of the campaign by email and asked a simple question : “Do you support current policy as declared by the Department of Transport Tourism and Sport to use the asset of the closed railway from Collooney to Athenry as a greenway now to create a local amenity for communities along the route, to create more tourism related jobs in the West of Ireland, and to protect the route from loss to the State” We also gave candidates an option to disagree with the statement or to say they did not want their opinions known. We have been delighted with the almost unanimous positive response we have received we are now very optimistic we will have cross party support with four TDs who all support the greenway from Collooney to Athenry on the closed railway route. We very quickly got responses from candidates who support the idea. The most immediate response came from Tony Mcloughlin TD, who has long supported the campaign and from Marie Casserly who has supported the greenway campaign in the council chamber for a long time. John Perry TD who also supports the campaign was quick to respond saying yes to the greenway. All candidates are very busy, so we followed up the first email with phone calls, texts and further emails until we got a response. We are very pleased to be able to inform the voting public that every single candidate bar one has responded to the survey with positive support for the greenway campaign. The only candidate who has failed to respond is Declan Bree, despite numerous emails and calls to his mobile. Mr Bree has refused to say if he supports the greenway campaign. The main party candidates have been totally supportive, with Labour, all three Fianna Fail and Fine Gael candidates, Renua and the Green Party candidates all sending messages of support as have all the independent candidates with the exception of Mr. Bree. All candidates have made similar comments, that it now makes common sense to get on with this project that protecting the route is paramount and the rusting old railways have no meaning to be left in place. The Western Rail Trail is delighted the campaign has cross party support, we wish all candidates good luck in their endeavours and will be asking the successful candidates to pursue the Western Rail Trail project once the election is over. We hope to have all four TDs in the constituency publically backing the Western Rail Trail from Collooney to Athenry after the election. 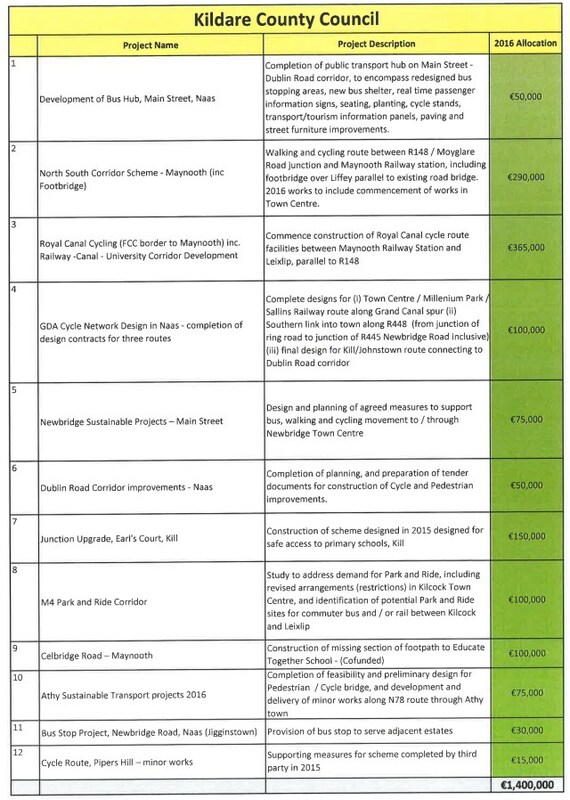 It has been a relatively quiet month on the Dublin Galway Greenway project. As the controversy over the East Galway route quietens down, focus has shifted to the Kildare and Meath section of the greenway. We can only suspect that the project planners are taking stock after the bruising they received from the landowners in Galway and are now taking some time out to consider the best way forward for the western section of the greenway. 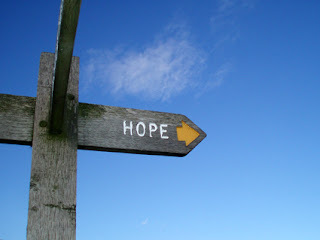 The West On Track and the Sligo Greenway groups took some steps towards a reconciliation over the past month. These two groups have been in very different camps about the potential use of the Sligo to Claremorris disused railway. 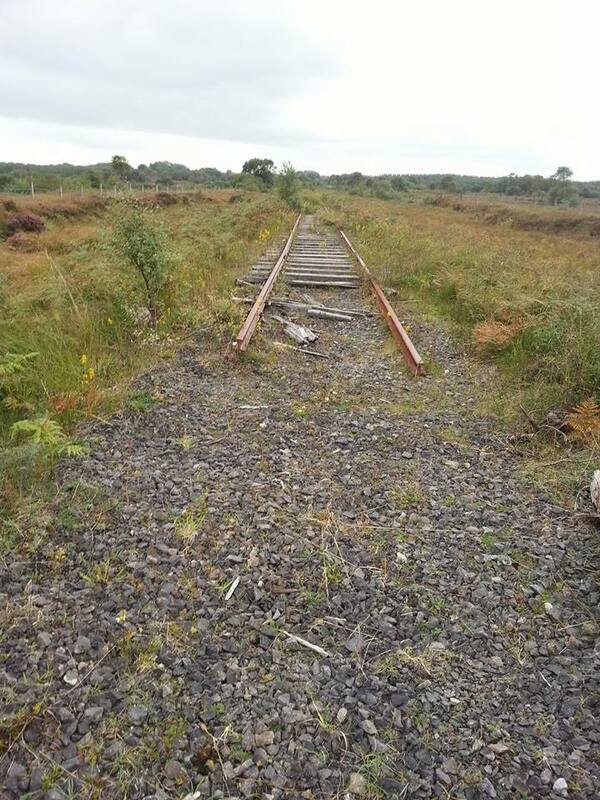 After the Minister for Transport Paschal Donohue stated that the actual rail tracks have no value in any future operational railway, it became apparent that the West On Track’s position became redundant on the need to keep the rusting tracks. It has also been reported that there is growing interest abroad (especially from German and the US) in a potential greenway from Sligo to Claremorris. 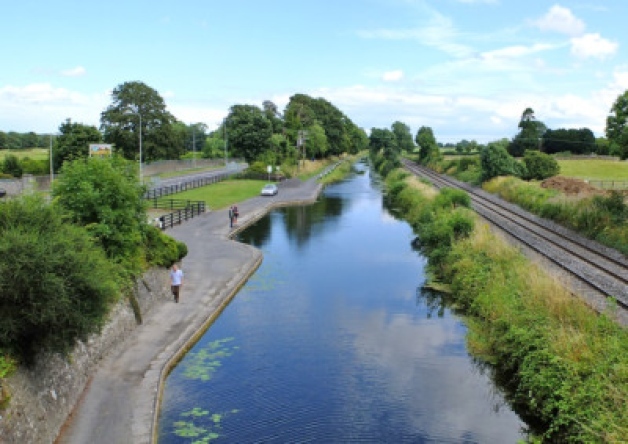 Kildare County Council has started a public consultation on the Royal Canal Greenway from Maynooth to the Dublin County border just outside Leixlip. 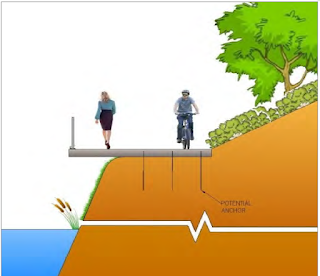 This section will be part of the Dublin Galway greenway. 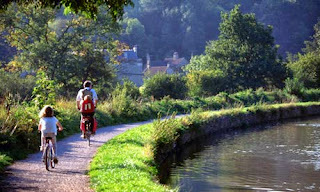 However, some cycling interest groups, such as IrishCycle.com, have commented that the standard of the greenway does not meet international standards as a commuting route for cyclists. Kildare County Council will review all of the submissions and move forward accordingly. According to reports this month, Leitrim County Council will begin its bid to develop two greenway projects in the county this year. This blog also reported on this news and the potential connections of Leitrim’s greenways into a large network of greenways with connection to the Dublin Galway Greenway. As part of a 40M funding announcement by the government about gateway and hub towns, it was revealed that almost 1.5M will be allocated to Dodder Valley Greenway (South Dublin Co. Co.) to complete 2 phases of the scheme to install & extend cycle and pedestrian routes. 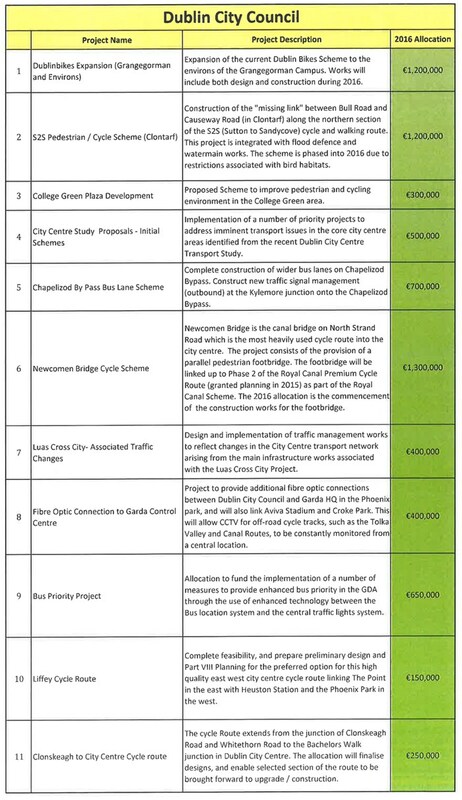 The Irishtimes reported, however, that opinion is divided on the project and that some people fear the project will see the Dodder Valley developed into a cycling superhighway. Following the successful opening of the Athlone to Mullingar greenway by the Taoiseach in October, the greenway is getting significant interest with numbers of cyclists growing rapidly. As predicted with these type of projects, tourism related business opportunities follow and we are glad to see many new bike hire companies in Athlone and Mullingar have opened. According to reports from the Shannonside newsroom, Leitrim county council is seeking funds to develop two new greenway routes that could link with the Dublin Galway Greenway. 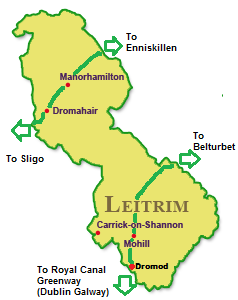 CEO of Leitrim County Council Frank Curran says the council will apply for seven million euro to construct a cycling track between Manorhamilton to Enniskillen in County Fermanagh along the disused railway track. The council will also look to progress a greenway between Dromod in South Leitrim that will connect to Belturbet in County Cavan. These ambitious projects will help build Leitrim's growing reputation as a outdoor activity destination and fits alongside projects such as the successful Shannon Blueway canoe and walking trails. 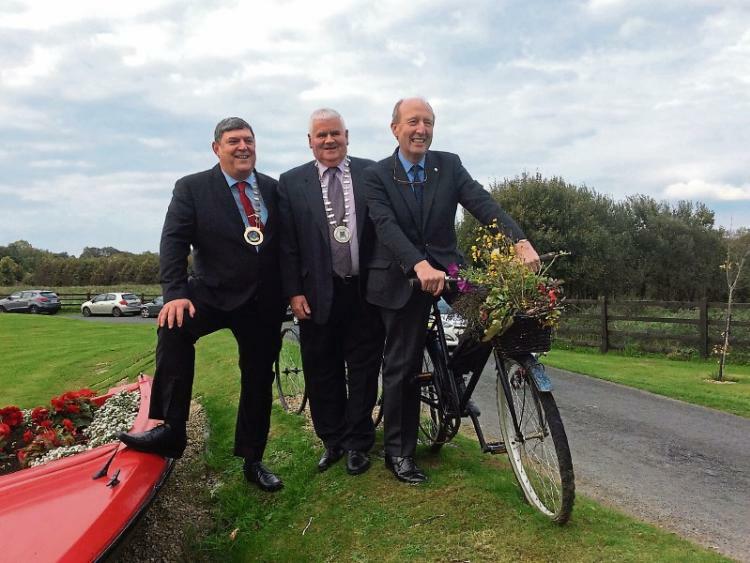 The success of the Mayo greenway has encouraged more councils to look to build greenways in their own county and when joined together and promoted internationally could attract millions of tourists to parts of Ireland that have traditional been bypassed by tourists. Plans by Longford county council to develop the Royal Canal greenway as far as Clondra could prove to be a very wise move as it could provide a connection between the Dublin Galway greenway to this network and provide a gateway to north west greenways in Leitrim, Sligo and Mayo. Further information on the Dromod to Belturbet greenway is available on the canalgreenway website. 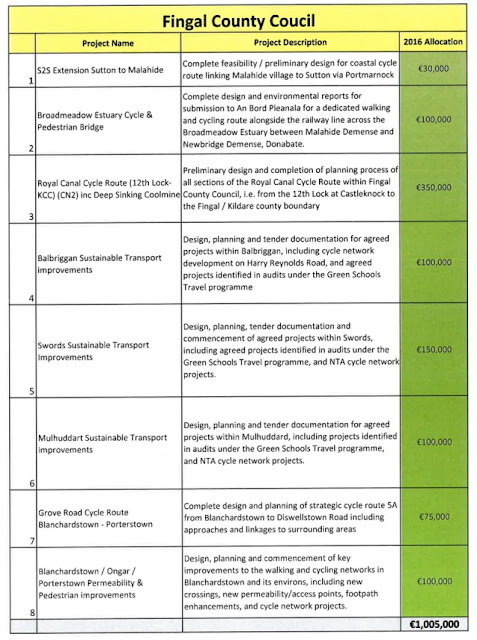 And a full proposal for the Manorhamilton to Enniskillen greenway is available for the government backed smartertravel website.